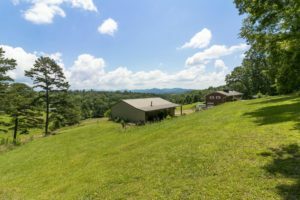 Check out this new farm listing near Asheville! If you’ve been looking for a beautiful, updated, manageable farm that isn’t in the hinterlands, this is it. Fourteen acres of gently rolling pasture and woodlands complimented with an extensively updated 3BR, 3BA brick ranch with full basement, this property has it all. There’s a small creek, spring, chicken house, greenhouse, fenced pasture, large detached garage/workshop, wood boiler and more. The views are outstanding as is the privacy, yet it is less than ten minutes to the town of Weaverville. Click here for the full property information and photos.